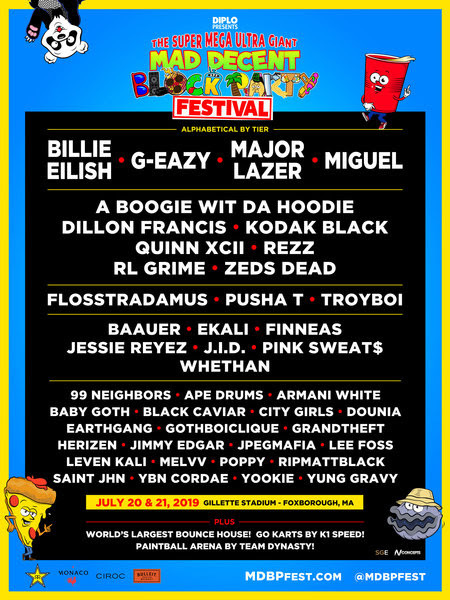 World-renowned Grammy Award winning DJ/producer Diplo will host his newest live, curated event, Diplo Presents The Super Mega Ultra Giant Mad Decent Block Party Festival, Saturday, July 20 and Sunday, July 21 at Gillette Stadium in Foxborough, Mass. 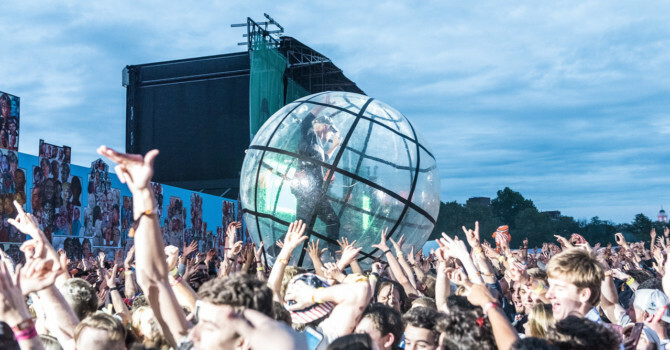 This massive music and entertainment festival is the only MDBP event in North America this year. MDBP Fest will feature three music stages and will feature performances from Billie Eilish, Major Lazer, G-Eazy, Miguel, A Boogie Wit Da Hoodie, Dillon Francis, Rezz, and many more. MDBP Fest will also feature a number of activities, games, and activations, including The World’s Largest Bounce House, go karts, and paintball throughout the Gillette Stadium and Patriot Place campus. Tickets go on sale THIS Friday, April 12 at 10:00 am ET at: https://mdbpfest.frontgatetickets.com.